Lawrie must win, Phelan needs fourth at worst and Maybin seventh if they are to finish inside the Top-111 who keep their cards after this week's ISPS HANDA Perth International. Lawrie looks to have an almost impossible task after he opened with a three over 75 to finish the day tied for 124th and 11 strokes behind co-leaders Thorbjørn Olesen and Australian qualifier John Wade. Maybin shot a one under 71 to share 53rd, four shots outside the seventh spot, while Phelan's level par 72 leaves him tied for 77th and six shots off his goal. Wade, 46, and Dane Olesen fired matching course record rounds of 64 at Lake Karrinyup to lead by two strokes from Australia's Michael Sim, England's Tom Lewis, Scotland's Peter Whiteford and South Korea's Sihwan Kim. 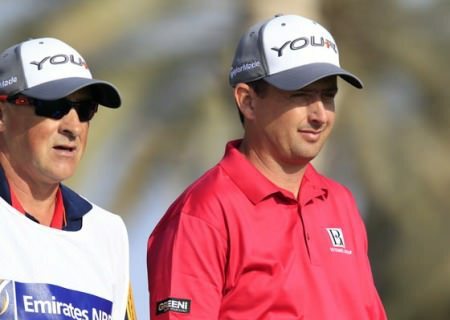 Wade, who spent a couple of seasons on the European Tour after twice coming through Qualifying School in the late nineties, capitalised on a flying start to post a flawless round, which was matched late in the day by the similarly bogey-free Olesen. As for those battling to save their cards, 104th-placed Lewis, 138th-placed Kim and 149th-ranked Whiteford all enhanced their chances with rounds of 66. Kim and Whiteford need a top-two finish to avoid a trip to Qualifying School, while Lewis should be safe barring an unlikely set of results. The man currently in the firing line, 111th-placed Matthew Nixon posted a two under 70, while Major Champions Charl Schwartzel and Jason Dufner carded rounds of 68 and 70 respectively, with the South African chipping in on the ninth. Damien McGrane, 94th in the Race to Dubai, is the best of the Irish in a share of 38th after a firing six birdies in a two under 70.